For a great example of the globally under-appreciated gems of American tourism, look no further than the Great Lakes State of Michigan. A geographical rarity in US terms – the state consists of two peninsulas, almost touching each other at 90 degrees - in terms of attractions, Michigan is first and foremost a boat-lover’s paradise. Lakes Erie, Huron, Michigan and Superior lap its shores, and its coasts are dotted by thousands of little harbours, many of them highly picturesque and all of them welcoming to the boat-borne visitors who rank this fresh-water environment, with its lighthouses, jetties and stunning beaches the Wolverine State, on a par with the East Coast playgrounds of Martha’s Vineyard or the Florida Keys. The best places to stay in Michigan cater to all, whether you want to see the sights or enjoy the great outdoors. While the lower peninsula is of course heavily urbanised in parts – Detroit was the capital of the US car industry after all – it still contains many beauty spots. The heavily forested upper peninsula, with its many crossing points to the Canadian state of Ontario, is a gorgeous wilderness ideal for hunting and fishing. So the best places to stay in Michigan are a short step to the state’s cultural riches – including around 100 high-quality museums – or a launch pad for your outdoors adventure. The Inn on Ferry Street enjoys a prime location in the city's historical district so is ideal for a city break. Elegant rooms are classic in style and many feature four posters. The Townsend Hotel is perfect for those who don't want to be downtown yet want a luxury stay. Rooms feature Frette Linen bedding, luxury smellies and deep bath tubs. Plus there's award winning dining at the Rugby Grille. Still undecided? Browse through our list of the best places to stay in Michigan, or contact a friendly guru for advice. Four restored Victorian mansions providing sophisticated luxury. Charming rooms with romantic four poster beds and traditional furnishings. 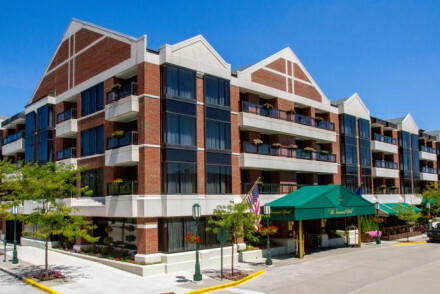 Located in the city's historic district, just steps from some of the finest museums, theatres, and historical sites. 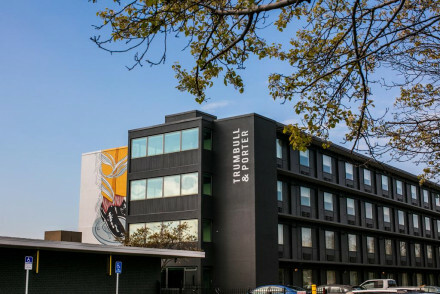 A trendy hotel injecting some cool to an old Irish neighbourhood. Contemporary design throughout has an industrial conversion feel; think polished concrete floors, minimalist style and exposed piping. A lively bar and excellent restaurant will keep night revellers entertained. Superb. City Style - A sleek hotel complete with lively bar and fabulous restuarant. 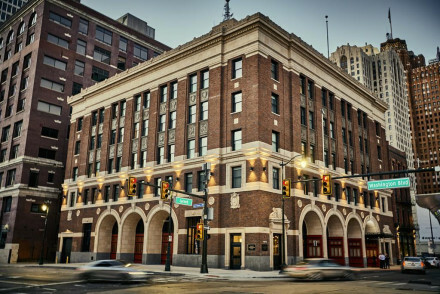 A wonderfully original and funky hotel in Detroit's old fire house. Suave rooms offer comfortable beds, dark wood tones and local artworks. A very city centric hotel, it celebrates Detroit's history and future while supporting local industry and people. Fabulous food and cocktails seal the deal! 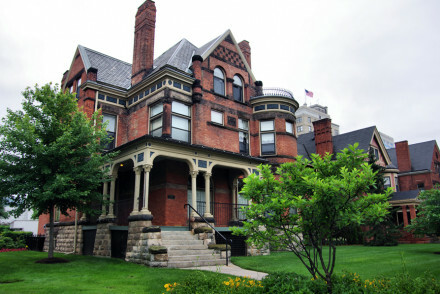 This classic jewel in the sleepy suburbs of Detroit has first-class fitness and business facilities. Contemporary, luxurious rooms with marble bathrooms make a comfortable stay. The award winning Rugby Grille and classic cocktail bar add flavour to any evening. Explore Detroit with ease. Sights nearby - Motorsports Hall of Fame and Museum.